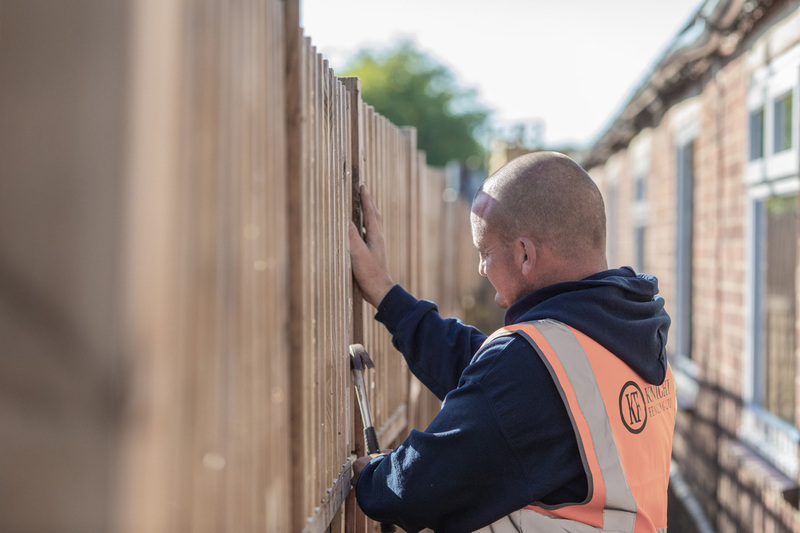 When it comes to installing our domestic and commercial fencing and gates, Knight Fencing is committed to ensuring that every job is carried out to the highest standard for an affordable price. The fence installation team is expertly trained to deliver the high level of workmanship and customer service that we pride ourselves on. Proper preparation is part of our fencing and gates installation service. That’s why we like to send one of our experts to carry out a site survey. This way, we’ll know if we need to take any special or unusual conditions, such as dangerous or uneven ground, into account. By taking this step, we can prevent any delays and protect against problems in the future. This attention to detail helps ensure that customers always benefit fully from our high-quality, value-for-money products and services. To find out more about our fence installation services and to book a site visit give your local Knight Fencing team a call. Complete this form to get a Quick Quote back from us.